Three-horned bedstraw (Galium tricornutum) is a weedy member of the Rubiaceae (madder family) and closely related to cleavers (Galium aparine). It originated in eastern Europe and is a major weed of crops in parts of south-eastern Australia. 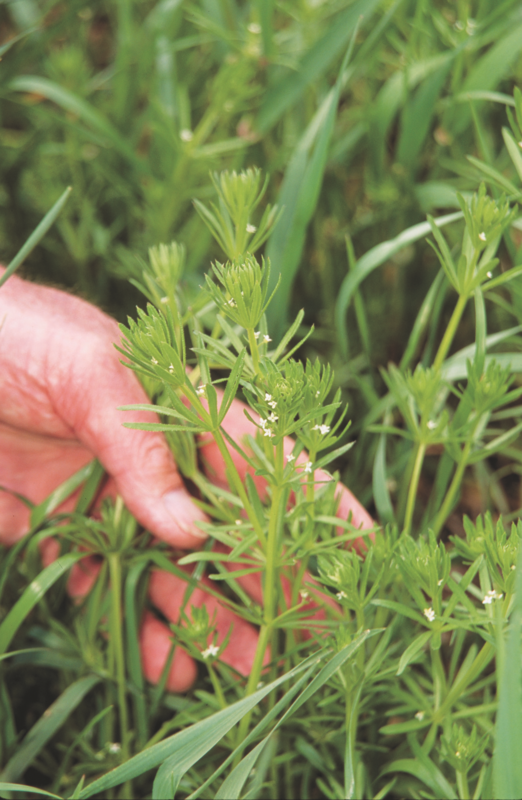 It is a declared plant in Western Australia, landholder requirements for its control can be found through the three-horned bedstraw: declared pest link. Three-horned bedstraw is a competitive climbing plant that forms dense masses of tangled vegetation in crops, along fencelines and in wasteland. There are a number of effective herbicides that can be used for control in cereals and grass pastures. In legume based pastures, pulses and canola there are fewer options. The size of the seed makes it difficult to separate from canola during seed cleaning. Small hooked stems on the seed make it difficult to remove from other crops using conventional seed cleaning equipment. Three-horned bedstraw plants are straggly, scrambling or climbing, with weak branched stems up to 1.5m long. The whole plant feels sticky, caused by the leaves and stems being covered with tiny hooked prickles. The stems are square in cross section with ridges at the corners and are often hollow. Tiny backward pointing hooked spines run along the four ridges on the stem. The leaves are formed in whorls of six to eight at nodes on the stems. They have no leaf-stalk (sessile). They are covered with hooked hairs on the upper leaf surface and have and tiny backward pointing prickles on the margins and on the underside midrib. 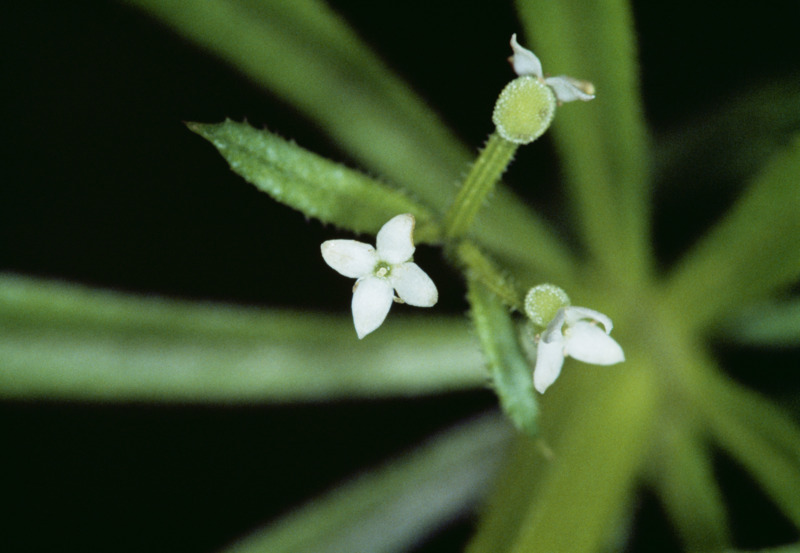 The flowers are small and about 2mm in diameter with four white petals. Each flower is attached to a small stalk (pedicel) that is initially straight but becomes curved as the fruit forms. 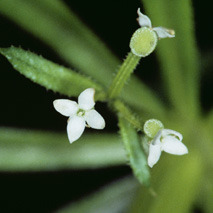 Groups of three flowers are attached to a straight stalk (peduncle) that is attached to the stem at the leaf axil or the end of the stem. The pedicel and the peduncle both have tiny backward pointing prickles. The seeds consist of a pair of nutlets each about the size of a canola seed. They are hairless, but covered with minute warty bumps. Three-horned bedstraw closely resembles cleavers. Cleavers has straight rather than curved seed stalks (pedicels) and has hooked hairs on the seed rather than tiny, dimply warts. Three-horned bedstraw is an annual plant germinating in late autumn to early spring. It is spread by seed. It can be dispersed by wind, water, on the plant, or by people or animals. However, in Western Australia the majority of the spread appears to be by movement in grain or by agricultural machinery and particularly by harvesters. Its seeds normally survive in the soil for three to five years but can survive longer in non-wetting soils. Three-horned bedstraw prefers heavier alkaline soils, but may grow under less favorable conditions and on other soil types. We need to find and eradicate any plants of three-horned bedstraw that exist in Western Australia. Search suspect paddocks and carry out prescribed control measures. 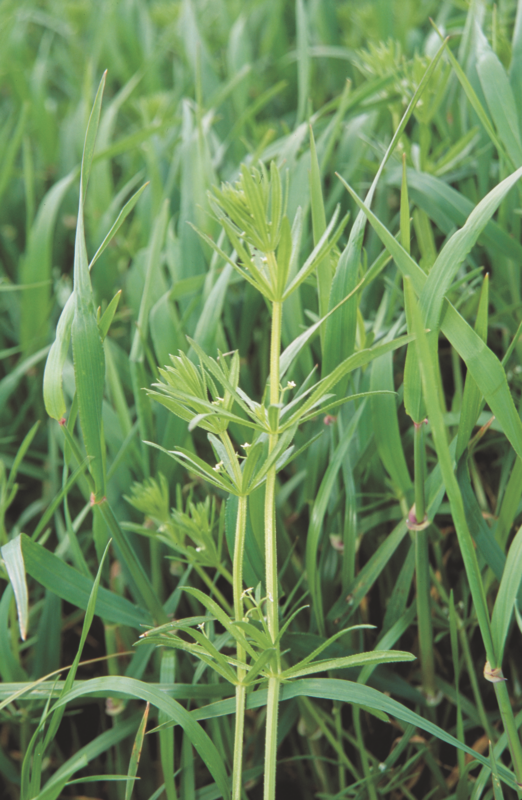 Further information on looking for and reporting bedstraw can be found through the three-horned bedstraw: declared pest link. 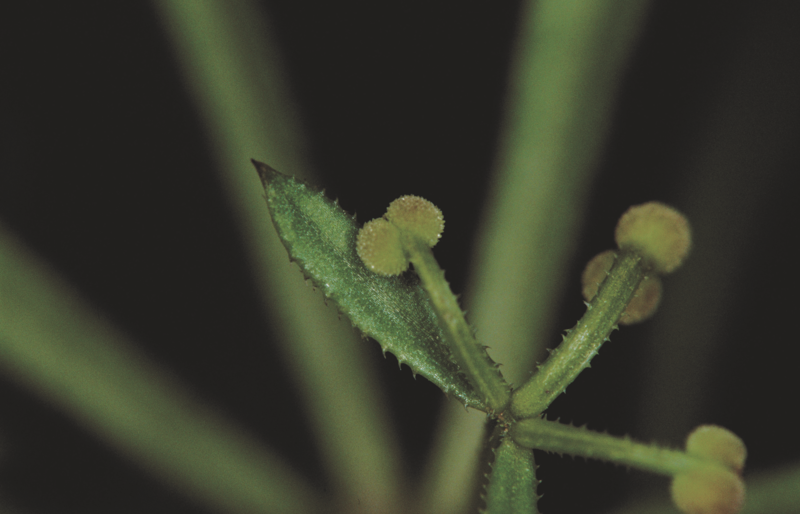 Control methods for this declared plant can be found through the three-horned bedstraw control link. 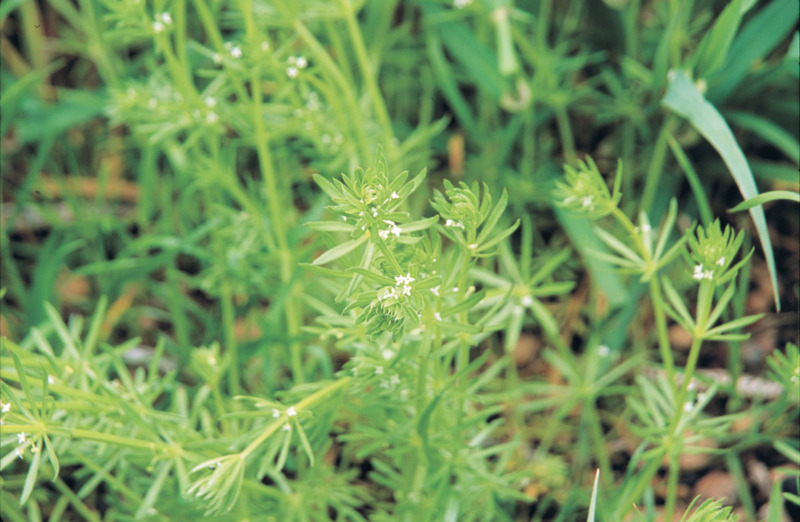 For further information on three-horned bedstraw, view the three-horned bedstraw: declared pest page or contact the Pest and Disease Information Service.